It depends on the figure -- Anubis has separate head and leg dials if you only want one of those, Troll and Gorilla have separate head dials. Some are only one FBM dial. This is up to the morphs creator. I know many of them come with an option to just apply the head, or to reverse the head out of the body. You'll have to look at individual products to see what splits they offer. The importer plugin should go wherever your other Python scripts are. The other two can go in any mapped content directory (install to the folder containing the Runtime folder). I don't have those specifically, so I can't say. But with David 3, for example, you have the option of doing a full body morph or just the head of David 3 (both of those dials are in the BODY). At least for the human figures, I don't see a way to just have one figures legs and another one's arms. I'm sure that boils down to rigging differences, so I would think it would be unlikely with Anubis, troll and gorilla. However, there are *universal* body morphs that can be used (e.g. for widening hips, etc.) I have no idea about the genesis creature creator morphs. Ok. Which one do I put items in? Poser 9 or Poser 9 Content? Also, do I use 32 bit or 64 bit?Poser 9 means you need 32 bit. As for where to put the content, that depends, where is your content for Poser normally kept? Good thing I'm seeing is the JCMs for the Sabbatic Goat get pulled over to. 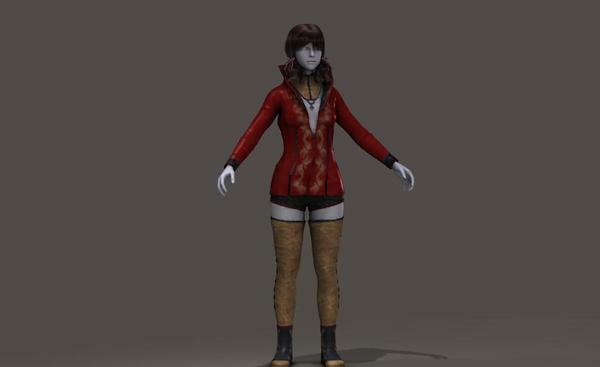 The easiest way I found to get it working is setup a new runtime folded in Poser 2012 and direct it to the DAZ3D My Lids Content runtime folder and load genesis from there it finds all the paths. But I guess someone has all ready said that. 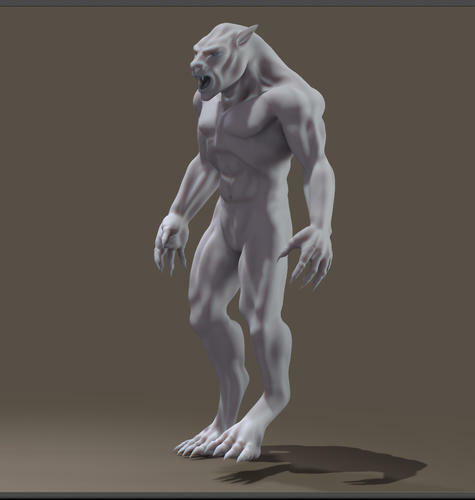 Yes the Lycan is working and the JCMs working on that to. Next I need to start working on the Mat presets export and get that working in Poser to. Very good question Nightsong, I'd like an answer to that one too! 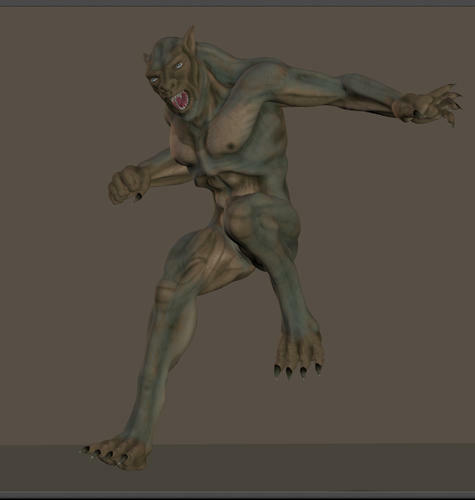 Oh *BIG HUG* I really like Lycan, but I like my ability to light scenes better in Poser. Which means I'll be able to light him even better once I get him in Poser. I have the 32 bit version installed. Bigest problem I see is that V5 is still genesis and an import, what like made in china? Can you do the following. It will print out a list of paths. Is the "dzdsonimporter.pyd" file located in one of the printed paths? OK we have lift off with the scripts but they only pull over the diffuse color nothing else so that means the rest of the poser stuff like Disp Bump and Spec are going to have be done manually. oops, I even quoted you saying that. There is one path that reads "H:\Poser 9\Runtime\Python\addons\" but no path that ends directly at "H:\Poser 9\Runtime\Python\addons\dson\"
I'm in the group that has an invisible Genesis. I'm on Windows 7 64 bit. Everything is outside of Program Files and any protected system folders. In fact, Poser Pro 2012 and all my Runtimes are on a completely different partition. I downloaded and installed the 64-bit DSON Importer for Poser Win 64. I installed the Genesis Starter Essentials to D\Content\Genesis and de-selected install DAZ Studio files. But I am noticing that now I have folders all over the place under D:\Content\Genesis. Am I just not doing something right? Lucky you. Out of desperation I tried both of them. Neither solved the problem for me, and I have the same system you have (Windows 7, 64-bit). Should I try deleting older versions of the Visual C++ Redistributable perhaps?